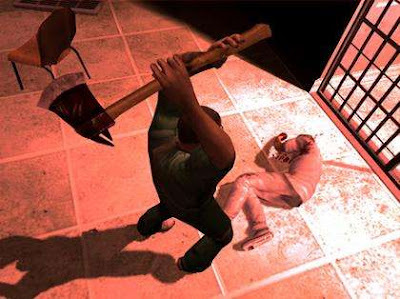 Manhunt is a game with extreme violence,blood and gore. Once, i've watched my brother playing this extremely violent games in PS2 where a player has to execute his enemies and game progresses. Methods of killing included crushing heads,beheading victims and more. Moreover, it's very eerie and creepy feelings to see player hang his enemies' head around his belt like a grenade bomb. That was hellava scary. At that time, i read news about following the same way to execute his own friend and later the murderer kid jailed. 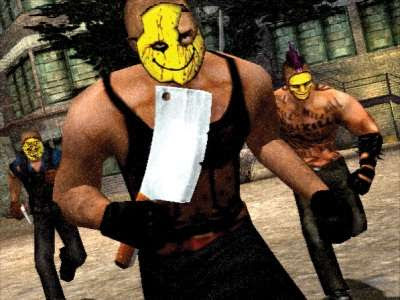 Upon inquiry, he told he was inspired by Manhunt games and so the reason was enough to ban this game all over the world in different regions. Rockstar is quite infamous for creating scandalous game titles. Now, the sequel of Manhunt is ready with the new title called 'Manhunt 2' set to release by the end of this coming October world wide. It'll be available for PS2,PSP and Wii. So, saddd, not for PC though. And it's rated 'M' by ESRB.